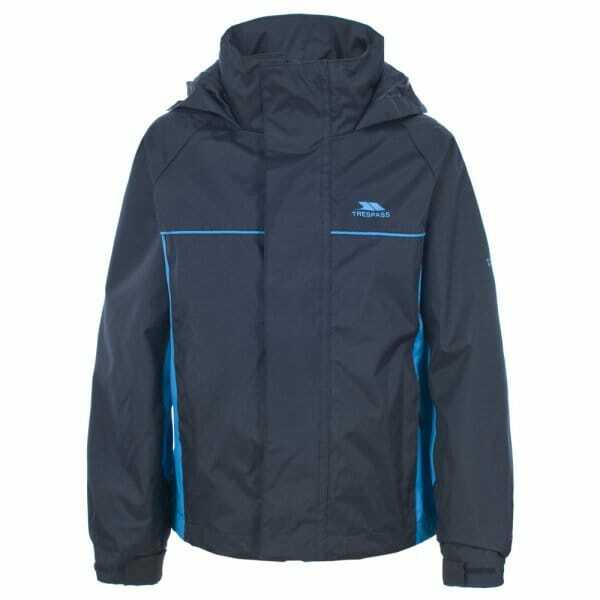 The Trespass Boys Mooki Jacket is a practical everyday waterproof jacket guaranteed to keep your child dry up to 3000mm. Furthermore, its windproof and has taped seams, plus a concealed hood makes sure your child is protected from the elements. Plus additional security is provided with the inclusion of 2 front zip pockets. Comfort is optimised by incorporating adjustable cuffs as well as a hem drawcord.